Retailers filed for bankruptcy at a record rate last year, and many in the industry think the pace could continue through 2018. 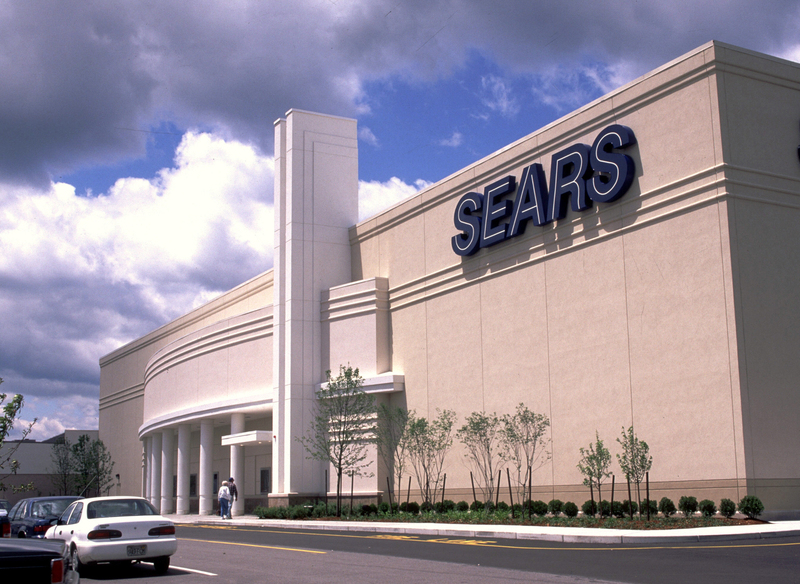 Sears Holdings is the most recent to make our list. Editor’s note: The following post will continue to be updated to reflect the current major retailers that have filed for Chapter 11 bankruptcy protection in 2018. View this year's bankruptcies. To put it bluntly: Last year was a dismal one for certain retailers. By December, 2017 had seen 26 major retail bankruptcies (defined in this case as companies with more than $50 million in liabilities), according to data from AlixPartners. That surpassed the 20 bankruptcies posted in 2008, when a major recession ravaged the sector. Some expect a slowdown in bankrutpcies and store closures this year, but by the first week of February, three major retailers had filed for Chapter 11, including Bon-Ton Stores, which does nearly $3 billion in sales. Whatever the tally, 2018 could be a bellwether year in telling us how much more retail consolidation might be left for the industry before things stabilize. As we did last year, we are keeping a close eye on the retail bankruptcies of 2018. Below is a list of the major retail filings this year. Outcome: Filed and secured $60 million in financing from lenders. Restructuring is expected to reduce debt by over $400 million. No store closures have been announced as of the filing. With over 65 years of experience, David's Bridal was once a leader in the wedding apparel space. With over 65 years of experience, David's Bridal was once a leader in the wedding apparel space. Now the retailer is struggling to keep up with a changing industry. The company filed for Chapter 11 bankruptcy protection on Nov. 19 and announced a restructuring process that includes $60 million in secured financing and a $125 million asset-loan to keep stores open. In a video on the company's website, CEO Scott Key assured customers that all 300 locations will continue operations and orders will be delivered as promised. Even though David's Bridal claims to sell one-third of U.S. bridal dresses, the company has faced a steady increase in apparel competition. The casualization of weddings, positioning itself at a mid-range price point and the need to invest in larger digital capabilities has also dimmed the retailer's effectiveness. "Bridal retail is a difficult segment," said Raya Sokolyanska, VP senior analyst at Moody's Corporation, in an interview with Retail Dive. "It was always a tough business to run, but is now tougher." Outcome: Filed with plans to close more than 140 stores and potentially sell its remaining stores as a going concern. Sears has been bleeding money and customers for years. Sears has been bleeding money and customers for years. Its Chapter 11 filing, when it came, surprised no one, except perhaps by its timing. The company has beaten bankruptcy speculation in the past as former CEO Eddie Lampert (and majority owner) loaned the retailer hundreds of millions out of his hedge fund, ESL Investments. Lampert also kept Sears afloat through asset sales, store closures and thousands of layoffs meant to ease Sears' bottom line. In 2018 alone, Sears borrowed millions from Lampert's fund, ESL Investments, closed more than 200 stores, laid off hundreds of corporate employees, refinanced debt, cut a deal over its private label credit card that brought in millions and contemplated a sale of the Kenmore appliance brand and home services unit to Lampert and ESL. But, in the end, it wasn't enough to keep Sears out of bankruptcy court. When it filed, Sears said it expected to close an additional 142 stores by the end of the year and reorganize around its remaining profitable stores (which numbered at about 400, according to the company's chief financial officer) and sell them as a going concern. Meanwhile, Lampert's ESL is in talks with the retailer about a bid for those stores. Outcome: Filed for Chapter 11 with a prepackaged reorganization plan backed by creditors, which includes shedding 700 unprofitable stores. Mattress Firm filed for bankruptcy with a plan to close 700 underperforming stores. Mattress Firm (owned by Steinhoff International Holdings) filed for bankruptcy Oct. 5 with a plan to close 700 underperforming stores, 200 of which were slated to close just days after the company filed Chapter 11. In an increasingly competitive market, Mattress Firm had been facing challenges from e-commerce startups like Casper (which have won over customers with lower prices, convenient delivery and playful marketing), not to mention working through the loss of key supplier Tempur-Pedic, which stopped selling at Mattress Firm in 2017 after contract negotiations fell through, and filed a lawsuit in August claiming Mattress Firm was selling "confusingly similar" products to its own. The retailer was also carrying the weight of an 11.2% drop in revenue in fiscal 2017. Mattress Firm entered bankruptcy with a restructuring plan, under which the retailer hopes to shed unprofitable stores and improve its product offering. The company also released projections for profits of $200 million by fiscal 2020, assuming that 40% of the sales it's losing from closed stores will be recaptured by nearby Mattress Firm locations. Outcome: Filed for Chapter 11 with an agreement for bankruptcy financing in hopes of a going-concern sale of the business. Samuels Jewelers in August notched its fourth trip to Chapter 11 in just over 25 years. Founded in 1891 in San Francisco, Samuels Jewelers in August notched its fourth trip to Chapter 11 in just over 25 years. Now headquartered in Austin, Texas, the retailer runs more than 120 stores in the U.S. as well as an e-commerce site. A couple years after its most recent trip through Chapter 11, in the early 2000s, the jewelry seller was bought out by Indian company Gitanjali Gems, whose chairman has in recent years become the target of a criminal probe in India for allegedly defrauding multiple banks in the country, according to a bankruptcy filing. That was just the latest twist in a harrowing couple of years for Samuels, which has seen declining sales and widening operating losses (to the tune of $14.9 million for its most recent fiscal year). Ahead of filing for Chapter 11, the retailer won an agreement for bankruptcy financing as well as an agreement with liquidation firms Gordon Brothers and Hilco to sell excess inventory in order to pay off debt. Meanwhile, a representative for the company said in court papers that Samuels hopes to sell itself as an operating business during the court process. Outcome: Filed with plans to close 74 stores — about 22% of its footprint — and the company said it hoped to reorganize in Chapter 11. CEO Michael Fallas said in a release after filing that the retailer was "historically a profitable company" and was committed to returning to profitability. The owner of the Fallas chain of discount stores suffered financial setbacks from certain underperforming stores, exacerbated by severe weather in various regions, including by Hurricane Maria, resulting in what it called "prolonged, temporary closure of damaged stores and loss of revenue." Before filing for Chapter 11, the company said it also suffered further financial losses from its acquisition of Conway Stores and from a data breach. CEO Michael Fallas said in a release after filing that the retailer was "historically a profitable company" and was committed to returning to profitability and financial help through the Chapter 11 process. "Our goal is to emerge a reorganized Company poised to compete in an evolving industry so that we can continue to serve the communities where we are rooted," he added. The company also said it was working with creditors and vendors to hash out a reorganization plan in bankruptcy. Outcome: Filed with plans to close its 101 mall stores and sell itself in Chapter 11. Known for its oddball electronics, gifts, travel gear and other assorted doodads, Brookstone has faced the same foot-traffic problems as other mall chains. The company filed for Chapter 11 on Aug. 2 with plans to sell itself and close all 101 remaining mall-based stores in bankruptcy "following continued deterioration of traditional retail mall traffic." As Brookstone winds down its mall presence, it plans to restructure around its 35 airport stores as well as its e-commerce and wholesale businesses. Brookstone CEO Piau Phang Foo said those three businesses are "operating successfully and should prove attractive to a buyer with the financial resources and vision to carry our company into the future." To fund it through Chapter 11, Brookstone secured agreements to $30 million in bankruptcy financing from Wells Fargo and Gordon Brothers. Brookstone began as a direct marketer, placing its first advertisement for "hard-to-find-tools" in Popular Mechanics in 1965. After growing a catalog business, Brookstone opened its first brick-and-mortar store in New Hampshire in 1973. In 2014, the retailer was nearly sold in Chapter 11 to the parent of Spencer's, a fellow seller of unique (and amusingly nonessential) wares.  Instead, it went to a joint venture between the China-based firms Sailing Capital and Sanpower Group for $174 million. Outcome: Filed with a plan for a private equity firm to take over ownership of key pieces of the company and possibly acquire North American retail unit. Rockport Group has changed hands several times, moving from Reebok to Adidas to New Balance and Berkshire Partners,who in turn sold it to a group of the company's lenders. Since its founding in 1971, the comfort footwear brand Rockport Group has changed hands several times, moving from Reebok to Adidas to New Balance and Berkshire Partners,who in turn sold it to a group of the company's lenders. After playing for decades in the bruising and competitive footwear space, the company went through a series of supply chain mishaps that wreaked havoc on its balance sheet and operations. Rockport filed for Chapter 11 bankruptcy with a plan for private equity firm Charlesbank to take over ownership of Rockport's global wholesale assets, e-commerce platform and retail operations in Asia and Europe. It would also have the option to take over the company's North American retail operation and keep open stores it wanted, while using Chapter 11 to close unwanted stores. 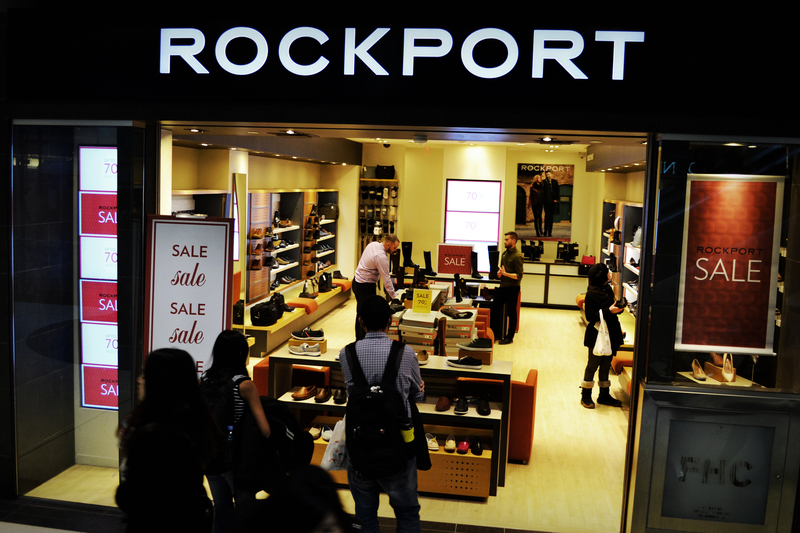 At the time of filing, Rockport operated eight full-price and 19 outlet stores in the U.S. and had $287 million in debt liabilities. Outcome: Filed with a $200 million bid from Authentic Brands for flagship brand and a plan for creditors to take over remaining business. The department store doldrums took their toll on Nine West. The company — which was founded in the 1970s by Jerome Fisher and Vince Camuto, who had the idea of manufacturing shoes on the cheap overseas and selling them in New York at lower prices — made 80% of its sales as a wholesaler. Unfortunately, Nine West made many of those sales to department stores, including Bon-Ton, Sears and Macy's — one of which is bankrupt, another has been teetering on the edge of financial disaster for years and the other is in relatively healthy shape but still closing stores by the dozens. Last year, the brand's customer loyalty started to waiver dangerously, according to data from mobile marketing platform inMarket emailed to Retail Dive. Except for a slight rebound in October, loyalty continued to decrease in the third quarter, and has edged down slightly each month, including during the holidays. Nine West entered Chapter 11 with $1.6 billion in debt and a $200 million stalking horse bid from Authentic Brands for its flagship and Bandolino brands. Creditors planned to take over the remaining business, including One Jeanswear, Kasper and Anne Klein apparel brands as well as Nine West's jewelry business, all of which the company said were profitable and growing. Nine West's CEO said at the time of filing that it had already removed inventory and vacated almost all of its remaining brick-and-mortar stores. Teen and tween-focused Claire's Stores calls itself a "girl's best friend," with over 100 million ears pierced under its banner, but girls and young women have plenty other options these days. Among them are H&M, Forever 21 and Zara, as well as discount and online players. Trying to free up cash and stem losses, the company closed 166 storesin 2016, a year in which the company posted net income of $53.9 million compared to a net loss of $236.4 million in 2015. For 2017, the company said it expected EBITDA of $212 million, up nearly 13% from 2016 and sales of $1.3 billion, which is roughly flat from the year before. Even as the company showed positive cash flow, it said that much of its cash went to paying debt, making competing with fast fashion, discount and online that much harder. Like many retailers in trouble,private equity ownershipadded to Claire's Stores' woes. Apollo Global Management took Claire's private in 2007 in a $3.1 billion leveraged buyout. The retailer had refinanced some debtto delay interest payments, but it wasn't enough. The company filed for Chapter 11 March 19with a restructuring plan agreed to by a group of its largest lenders. Under the plan, Claire's would reduce its overall indebtedness by $1.9 billion, the company said. The plan would also give current lenders a stake in the reorganized retailer through a new equity investment of $250 million. Claire's said it expects to complete the Chapter 11 process by September and would exit with $150 million in liquidity. Outcome: Entered bankruptcy with financing commitments and expects a speedy exit. This is The Walking Company's second trip to bankruptcy court in a decade. Founded in 1991, as a retailer of European "comfort shoes," Walking Company — which includes the FootSmart and Big Dogs Sportswear banners — eventually expanded into malls across the country and broadened its focus to include more shoe types as well as clothing and lifestyle products. In 2008, it filed after a rapid store expansion ran into a massive recession. It emerged from Chapter 11 with its core business significantly improved, and then 10 years later ran into another sector downturn. Leading up to its 2018 filing, the company tried to renegotiate its store lease terms to lighten its rent burdens, but had only limited success in the effort. It also suffered when Wells Fargo significantly devalued the inventory that backed a major loan and when a key vendor stopped supplying its successful private label line. Walking Company entered bankruptcy in March with agreements for new investments and financing, and a clear path out of bankruptcy. Key to its future will be negotiations with landlords in Chapter 11 and, more importantly, making good on the new cash to adapt its model to keep up with customers and secular changes in retail. Bon-Ton Stores, with roots going back to the 19th century, is still tightly connected to its founding family. Once privately held and mainly debt-free, it went public and expanded over the past two decades. Today it has a debt load many see as unsustainable as its sales contract in a troubled department store sector. Bon-Ton entered 2017 under financial pressure, but many analysts thought the company had the liquidity to muddle through the year and into its next debt maturities in 2018. But as the bad news about the company flowed, the bankruptcy chatter grew louder. The retailer’s suppliers reportedly began pressing for tighter terms on shipments to the retailer last fall. In September, the retailer hired AlixPartners for help with its turnaround efforts and began a search for a financial adviser to help with a possible debt restructuring. In bankruptcy court, the retailer disclosed it had also gone looking for a prospective buyer starting in late 2017, but no formal interest materialized. In December, Bon-Ton failed to make a multimillion dollar interest payment, entering into a grace period that eventually lapsed as the company negotiated with its lenders. The retailer filed for Chapter 11 on Feb. 4 with agreements for more than $700 million in bankruptcy financing to keep the lights on. The company won court approval for the new financing soon after — over the objections from some bondholders calling for Bon-Ton to liquidate immediately in bankruptcy, calling the retailer’s prospects for survival in a shrinking department store sector “at best, uncertain, and in reality, unlikely." The subsidiary of an international beauty retailer, Kiko USA played in a healthy and innovative beauty sector but had hitched its fortunes to malls. As mall traffic and brick-and-mortar sales declined, the makeup seller launched a new line of business selling through Amazon and using its "Fulfillment by Amazon" program. That business, together with Kiko's own website, was growing in the double digits ahead of the company’s Chapter 11 filing. But physical sales shrank too fast for Kiko to adjust its cost base through lease negotiations. The company filed for bankruptcy protection in January with plans to close all but five of its domestic retail locations by the end of February. Kiko USA’s CEO said in a court filing that the retailer has a strategic plan that focuses on its offerings, remaining stores and e-commerce business. A'gaci's recent physical expansion was particularly poorly timed — it came just as mall traffic started declining. After building out 21 new stores over the past two years, A'gaci is now looking to close 49 stores — almost 65% of its footprint — in bankruptcy. Along with bad timing, the women’s fashion retailer also suffered from bad luck. The company’s CEO said in a court filing that major hurricanes last year "ravaged" some of the retailer's most profitable stores. The retailer's earnings fell by $7.2 million in the past year, and the timing of the earnings hit was also terrible — it came as a major debt maturity loomed in 2018. The hurricanes, earnings hit, overexpansion and problems with a business software system roll out all worked together pushed the company to file for bankruptcy protection in January. Now the retailer, founded in 1971 and boasts, is looking to shrink its physical footprint and focus on its more profitable stores.